I was very surprised when I received a big package in the mail. I knew that I was chatting with another good blogger who is from San Diego about Filipino Goodies. I asked for a little bit of favor if it’s okay to get me a HOPIA since I missed so much since I don’t know when the last time I ate it. The only thing I knew Betchai through the Blogosphere, I love her blogs as she features about natures and her experiences in San Diego, CA and other States they’ve been to explore. I was overwhelmed to see what’s inside the box; even my 3-years-old is so thrilled when we both opened the package. Moreover, this is what was inside, more than a hopia. Thank you so much sis Betchai for all the Filipino Goodies you gave, I’m glad to gain a new sweet, humble, and kind Blogger. Thank you very much. Also, this is an idea of what are the things we can give to those people we care. 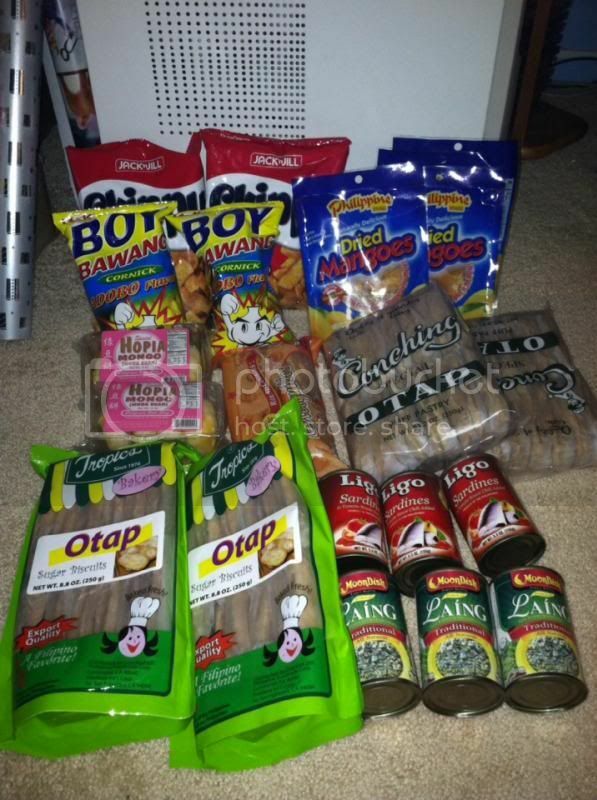 Same here and nice to know we can get them in the Filipino stores in the city where there is asian or filipino stores.